Skickar Tuesday, April 23 om du beställer innan 1 day, 14 timmar and 22 minuter! Taking it to the next level with the addition of a 6.5" subwoofer. 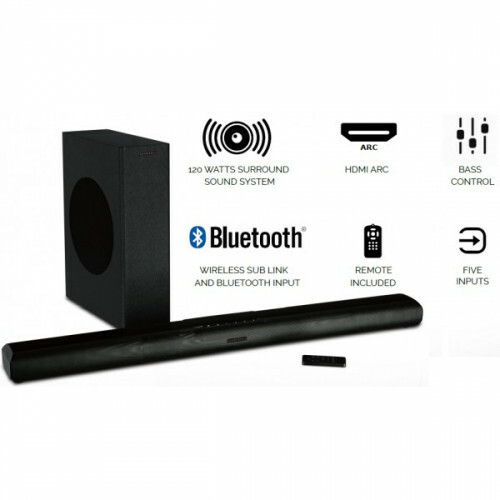 The VISTA 200 soundbar and sub-woofer connects wirelessly, working in harmony to deliver every spine crunching, crash or explosions just as it was intended. The Bluetooth technology not only enables a wireless connection between the soundbar and subwoofer but is ideal for connecting smartphones and tablets making the VISTA 200S a versatile system equally capable as a conventional hi-fi setup.